Iran’s Oil Sector Was Bouncing Back. Can It Survive Renewed U.S. Sanctions? 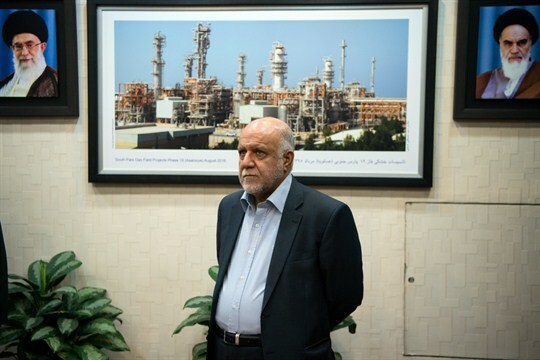 Bijan Namdar Zangeneh, the Iranian minister of oil, waits on Germany’s then-Minister of Economic Affairs Sigmar Gabriel at his office in Tehran, Iran, October 3, 2016 (dpa photo by Bernd von Jutrczenka via AP). Last week, President Donald Trump announced the United States would be reimposing unilateral sanctions against Iran that had been suspended as part of the 2015 multilateral nuclear deal known officially as the Joint Comprehensive Plan of Action, or JCPOA. At the heart of the U.S. sanctions are measures targeting Iran’s oil and gas sector, including any non-Iranian corporations that do business with Iran. In an email interview, Thijs Van de Graaf, an assistant professor of international politics at Ghent University in Belgium, discusses the evolution of Iran’s oil and gas sector since the JCPOA, and the implications of the reimposition of U.S. sanctions for Iran and its partners.